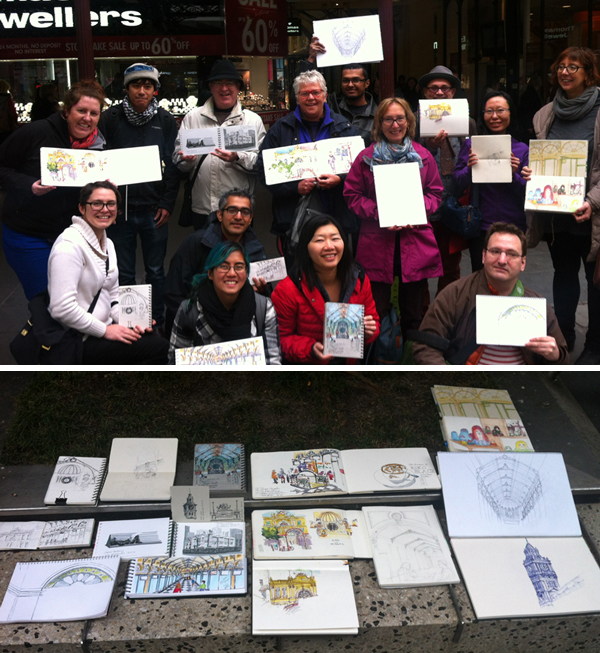 As you can see we were rugged up for Melbourne winter weather to sketch the Royal Arcade which is on Bourke Street in the CBD. 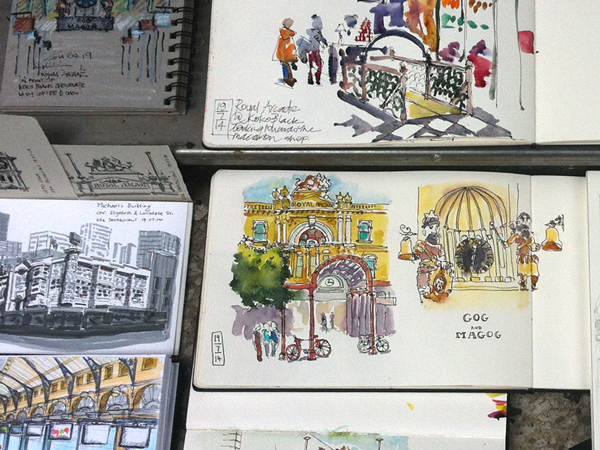 Some of managed to sketch outside for an hour or so before finding refuge from the chill inside the arcade. The Royal Arcade is Victorian heritage and one of the draw cards is the giant clock which has two giant statues Gog and Magog either side. 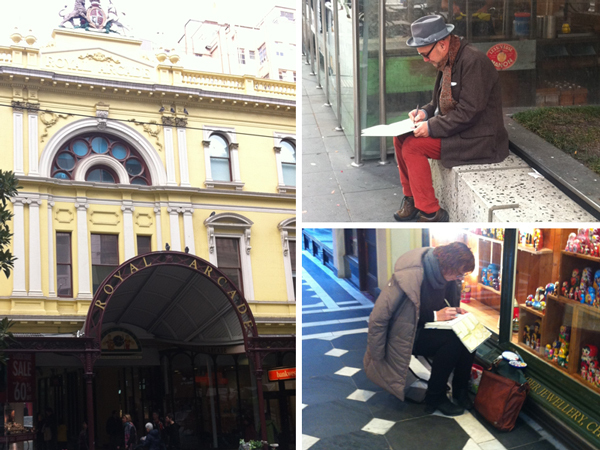 We had a good day, enjoying a hot chocolate (at chokolait) and then followed with some lunch and more sketching at one of my favourite cafes in Melbourne. 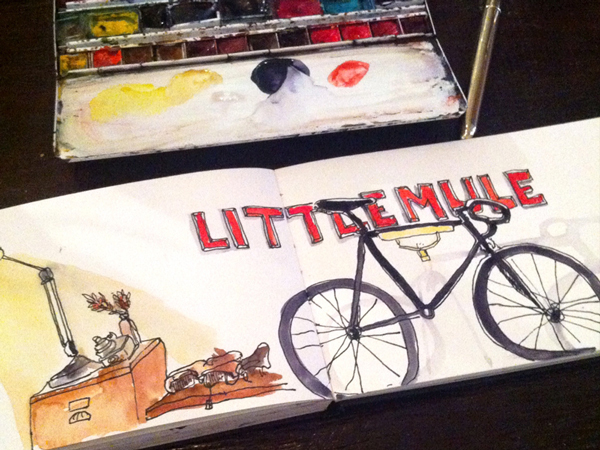 The Little Mule is hidden cafe down an alleyway. They service and sell bikes so they have things hanging off the wall and the staff are a treat. They hold classes there during the week (Laneway Learning).